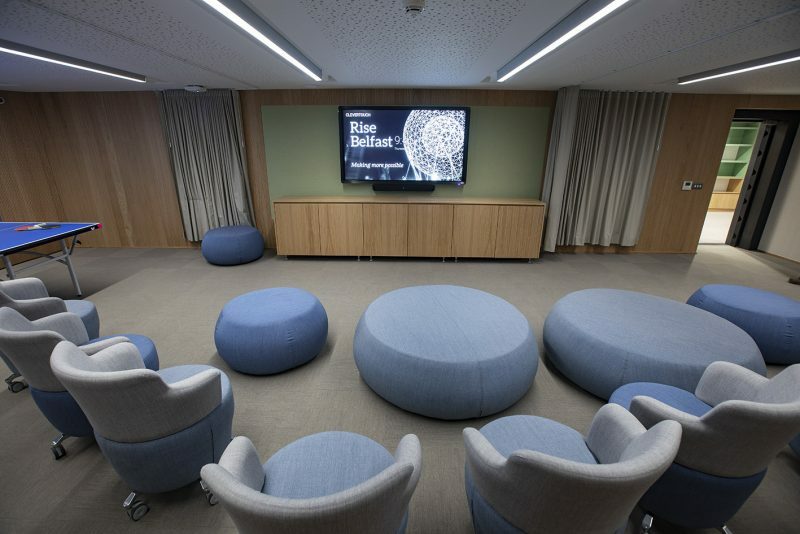 Niavac are proud to have completed a significant fit-out at Danske Bank’s flagship Donegall Square West branch in Belfast city centre. 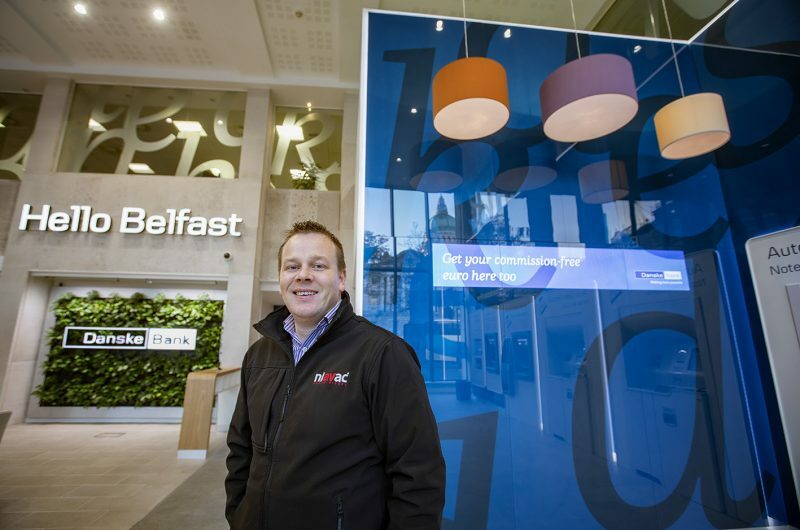 The contract is the latest to complete in a series of multi-site AV fit-outs across Northern Ireland, including branches in Newtownards, Portadown and Dungannon. 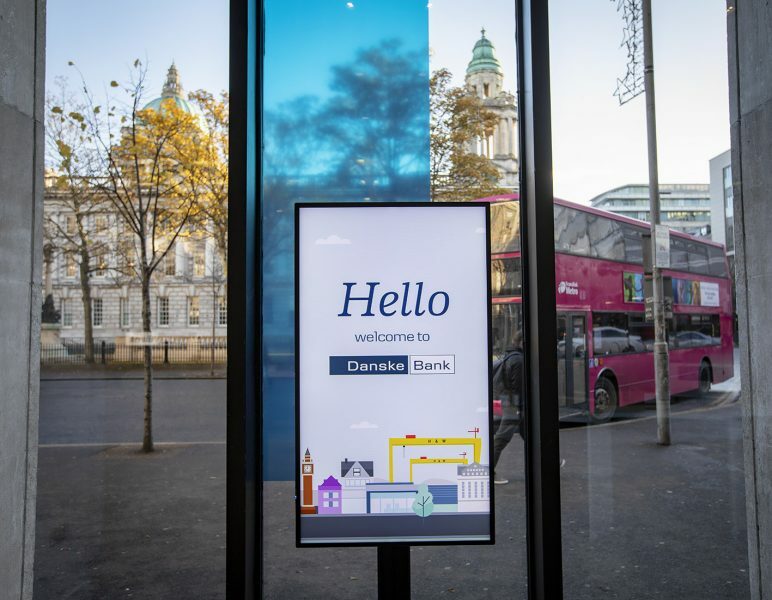 Niavac has supplied AV solutions to Danske Bank for the past ten years. 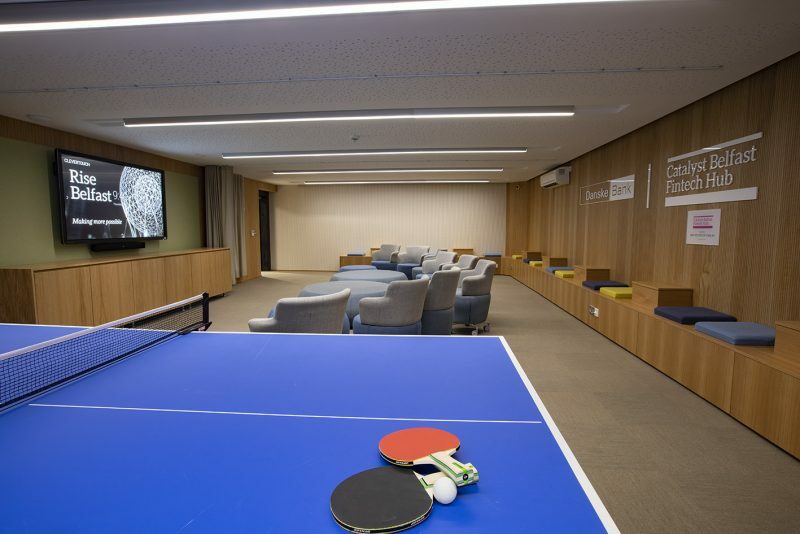 As part of the project Niavac provided a range of audio-visual solutions to complement the growing digitisation of the bank, introducing new digital technologies and hardware to the branch banking hall and new Fintech Hub. 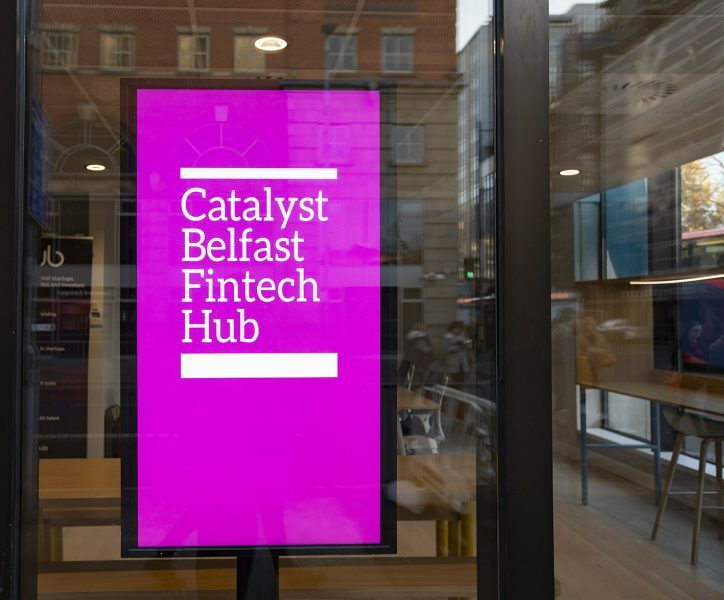 The Catalyst Belfast Fintech Hub, a co-working space for emerging fin-tech companies, officially opened in September. 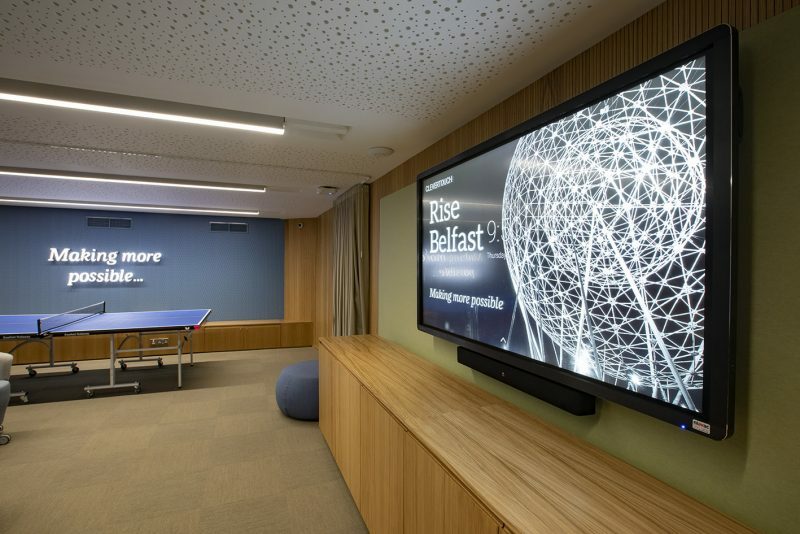 Niavac’s Technical Project Manager Stuart Ogg explains how the latest fit-out sets a benchmark for the future of AV solutions in Northern Ireland. “Being involved at design stage allows us to bring a new perspective to the project. 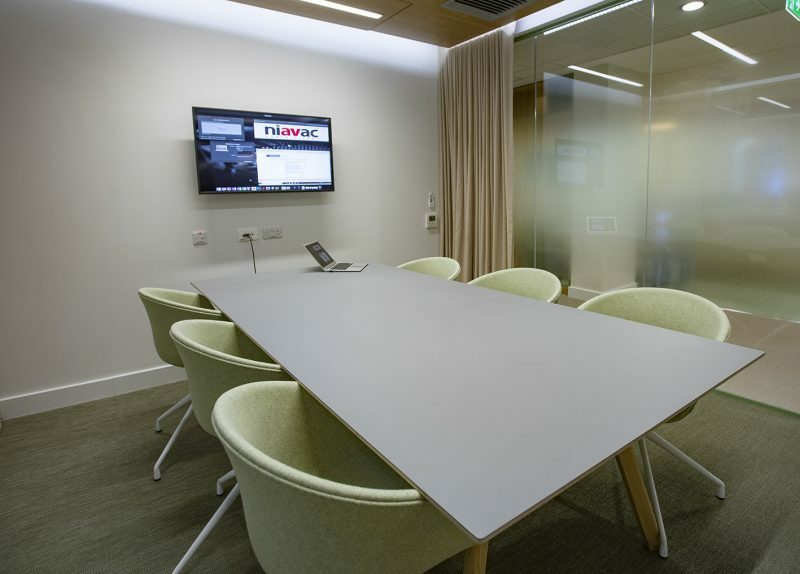 AV should be designed into a space rather than just making something work down the line. Responding to the need for seamless integration, Niavac installed LG’s new super stretch display in the statement printed glass wall surrounding the self-service area. On account of its uncommon size, the display provides a talking point for customers while at the same time delivering important communications to customers. Stuart added: “Technology needs to be appropriate for its environment”. As digital technologies are becoming more prominent in banking, the image and layout of the traditional bank branch is also undergoing significant transformation. The new branch is a remarkable space and one of its statement features is a centred main stage complete with a stunning 84” 4K display. Beyond the traditional bank branch, the banking hall design needed to be multi-functional. NIAVAC installed a flexible system utilising a digital mixer, handheld mics and a variety of media playback options to support both day-to-day business as well as evening events and training. Commenting on the latest trends in the AV industry, Stuart remarked that consumers expect technology.